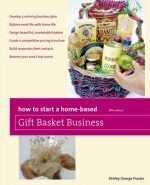 Are rival gift basket sellers arriving in your area? 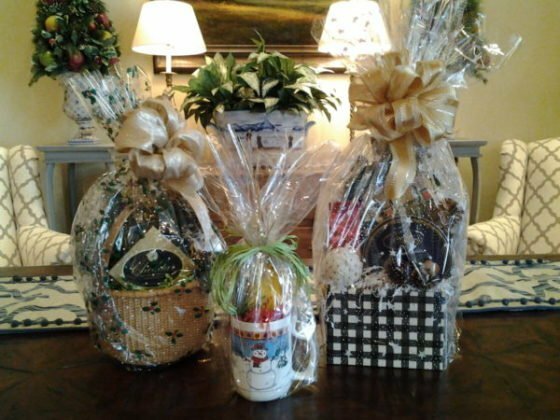 Here’s how to combat holiday competition so individuals and corporations buy your gift baskets. This holiday season (and during most special occasions), pop-up shops appear everywhere in the world. Shops sell tree lights, children’s toys, and drinking glasses etched with names and phrases. Gift baskets are also sold in these locations. I’ve seen them myself, especially in malls where many customers visit. Mall stores that are currently empty and waiting for a tenant often have gift basket stores set up until year’s end. Kiosks established along mall corridors often include gift baskets for sale. 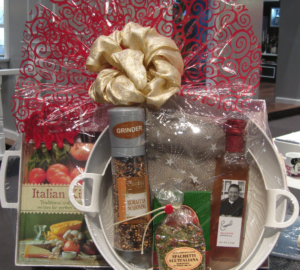 Flea markets, swap meets, and street corners in well-traveled cities often feature gift baskets. Some of these locations are ones you aspire to try, and others you can’t imagine trying, but competition is there and not going anywhere until the holiday season is over. 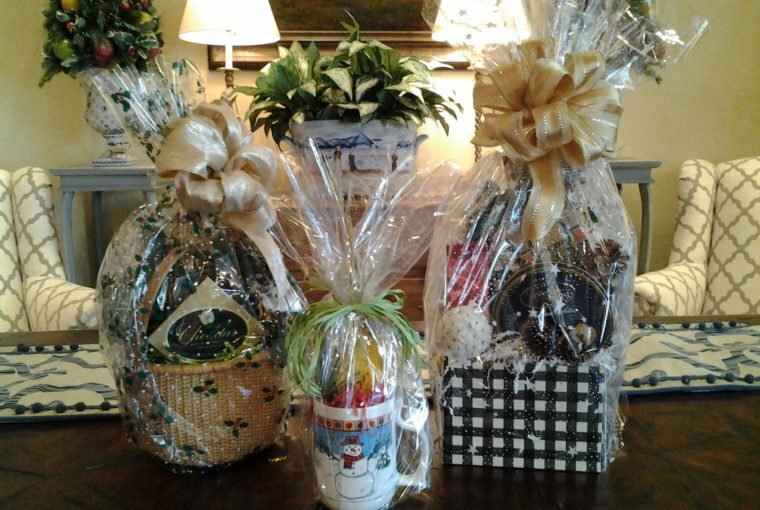 Is seeing gift baskets in these places bothersome to you, or are you happy to see the competition, knowing that they keep the industry top of mind with customers? 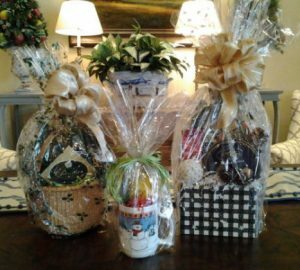 I have mixed feelings when I see gift basket sellers in temporary locations. While I’m happy to see entrepreneurs at work, I don’t want to see them competing in my area! I’m betting that you feel the same way and possibly have other thoughts going through your mind. Here’s what you can realistically do to get sales while keeping your competitive stress energy low. Look at what they offer. You’re talented, but are there elements within those designs that you can incorporate in the future? Get their business card (if possible). Where are they during off seasons, and where is their website or social media accounts? Take pictures of designs (if possible). Tell the owners that you need to show it to another person before buying. Ask questions about their location (especially if in a mall setting). Ask about the process to get the space and how it’s paid. 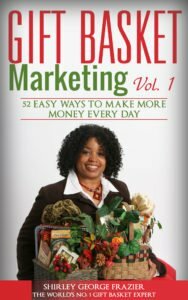 The goal is to get as much information as possible about competitors and combine that intelligence with a marketing plan created using the Gift Basket Marketing ebooks, Vol. 1 and Vol. 2. In that way you have information that may benefit you. It may be you next year in that same space testing the retail environment. How do you get sales? Continue letting prospects and customers know about your fresh products, quick delivery, and corporate specialties. 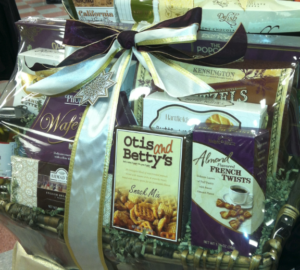 Offer New Year gift baskets so everyone knows you have gifts that competitors don’t offer and cannot create quickly. Don’t give up or feel overwhelmed because you see competition. They didn’t give in because you are their competitor. Use their presence to your advantage. Get all of the inside information you can while continuing to pursue sales. The season is almost over, and you’ll not only get orders, you’ll also begin developing or upgrading your New Year sales plan.